The Japanese multinational company, Hitachi is the perfect blend of innovation and technology. The company has been manufacturing top featured home appliances including air conditioners. The ACs offered by Hitachi are very much energy efficient and come with the latest technology. 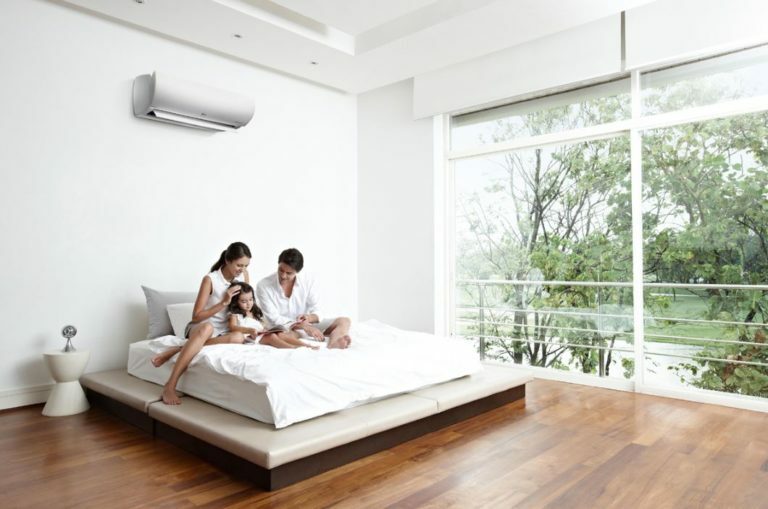 Some of the prime features of Hitachi air conditioners include auto climate control technology, silent cooling feature, smart technology, and much more. Besides, the Hitachi air conditioners come with auto climate technology to ensure you get fresh and pure air. Be it for commercial use or residential purpose, LG air conditioners are the prime choice for users across the country. Along with great performance, the ACs by LG are known for superior looks and design. Some of the innovative features of LG air conditioners include Dual Inverter Compressor, Mosquito Away Technology, Himalaya Cooling, Monsoon Comfort, 3M Micro Dust Protection Filter, Plasmaster Lonizer, Long-Lasting & Durable, Ocean Black Protection, Gold Fin Condenser, Active Energy Control. If you are looking for comfortable cooling with a luxury interior, buying LG air conditioner is the best choice. Blue Star is one the leading home appliances company in India. As the company slogan goes “Nobody Cools Better,” they have been manufacturing rich featured air conditioners for businesses, corporates, and residential customers. The Blue star also claims that they offered the first AC in India that cools in decimals. Other prime features of the Blue Star air conditioners include Turbo Cooling, Sleep Mode, Anti-Freeze Thermostat, and much more. So, what are you waiting for? Buy Blue Star AC and beat the summer heat. Known for modern air conditioning technology, Carrier manufacturers budget-friendly home appliances such as refrigerators, heat pumps, air conditioners, and a lot more. Coming to the Carrier air conditioners, the company offers AC with diverse classifications and ranges. Some of the prime features of Carrier air conditioners include Economic Sleep Mode option, Auto Mode and Turbo Mode, Bio Filter and a lot more. One of the leading home appliances and electrical equipment manufacturer companies, Samsung is the name that one can rely on. Among many products, the company is a pioneer in producing air conditioners with prodigious looks and superior performances. Designed with innovative technology, Samsung air conditioners cool quickly, widely, and farther. Buying Samsung AC and take home the model with rich features that include Anti-Bacteria Filter, Tropicalized Compressor, personalized heating & cooling feature, extra V-blades, and a lot more. All these above brands of air conditioners are popular in India and provide the appliances at economical rates. In this summer, pick anyone from these brands and beat the heat with elegance. These brands manufacture the air conditioners with innovative technology that not only keep your room temperature cool but bring you a fresh air and fight against bacteria in the house.